(VEN) - Tra Linh is one of four border crossings chosen for construction of Vietnamese-Chinese border economic cooperation zones. Tra Linh, located in Vietnam’s Cao Bang Province, and Long Ping in China’s Quangxi Province, are expected to form an international trade gateway from China’s southwestern provinces to northern Vietnam and from there to member states of ASEAN (Association of Southeast Asian Nations). Farm produce exports Le Thanh Chung, head of the Cao Bang Economic Zone Authority, said trade through the Tra Linh Border Crossing increased from US$65 million in 2011 to US$500 million in 2016, and more than US$1.2 billion in January 2017. 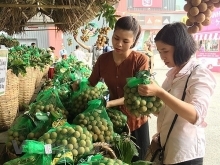 The city of Baise in China’s Guangxi Province (bordering Vietnam’s Cao Bang Province) provided 30 percent of all farm produce sold to more than 200 cities in China, including Beijing, Tianjin, Liaoning, and Shanghai, among others. “Therefore, the Tra Linh Border Crossing is considered a center of export-import development. China’s Chongqing City (bordering Baise) exported goods (mostly farm produce and food) worth about US$70 billion per year. 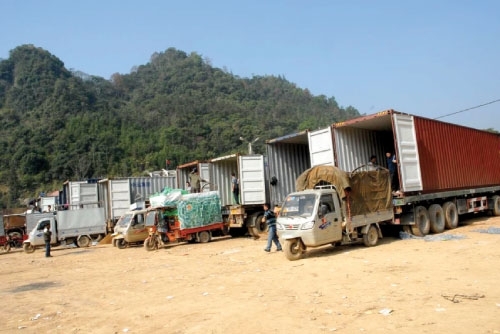 The economy of Vietnam’s Cao Bang Province will change significantly if 20 percent of this trade is handled through Tra Linh toward Lach Huyen Port in Vietnam’s Hai Phong City,” Chung said. Cao Bang has built a 100-hectare entrepot area for farm produce, forest products and seafood import and export in Hung Quoc Township in Tra Linh. Cao Bang Province Party Committee Secretary Nguyen Hoang Anh said Baise has provided trains to transport about six million tonnes of frozen fruits and vegetables to Beijing annually. This is an initial step in building a China-ASEAN free trade zone to facilitate trade exchange and cooperation in the fields of farm produce production, processing and sales between China and ASEAN countries. According to Chung, Cao Bang and Baise have agreed on steps to implement the border trade policies of the two countries. 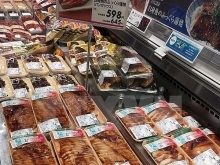 The two sides agreed to connect experienced and financially capable importers and exporters to sign contracts on trade in farm produce and seafood in accordance with international rules. Cao Bang has so far mobilized VND400 billion from various sources to develop the Tra Linh Border Economic Zone. Seven enterprises have been granted investment certificates, of which five have been allocated land for warehouse and holding yard construction. Two of these have completed part of their warehouses and holding yards, and have been recognized by the General Department of Vietnam Customs as central goods check sites and bonded warehouses. Cao Bang Province People’s Committee Chairman Hoang Xuan Anh said China will be building Baise into a China-ASEAN agricultural center. It is constructing the Long Ping Border Crossing and a center for international trade in goods.